For over 20 years, Tapflo’s family run UK office have shared their expert technical knowledge on Industrial Process Pumps for Hygienic, Sanitary and Industrial applications. 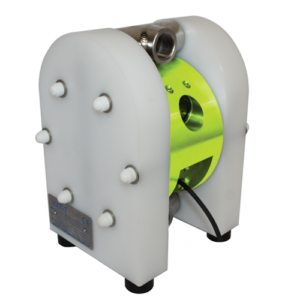 Here at Tapflo UK, we have spent recent years building our portfolio to also include an excellent range of Chemical Pumps for dosing and transferring, including Peristaltic Pumps, Centrifugal Pumps and Bespoke Systems designed for each customer’s needs. With support from a global Tapflo network, we have built strong relationships with our customers, working tirelessly to make business as easy as possible for each patron. This includes friendly technical support, fast lead times, low maintenance pumps and efficient pumping solutions at a competitive price. Whatever fluid management solution you need, Tapflo UK have the answer. See you at the show!